The odds were stacked against us. Arriving at Zao Hot Spring bus terminal shortly before 5pm, Yuuki and I filled up on water, preparing for the worst. 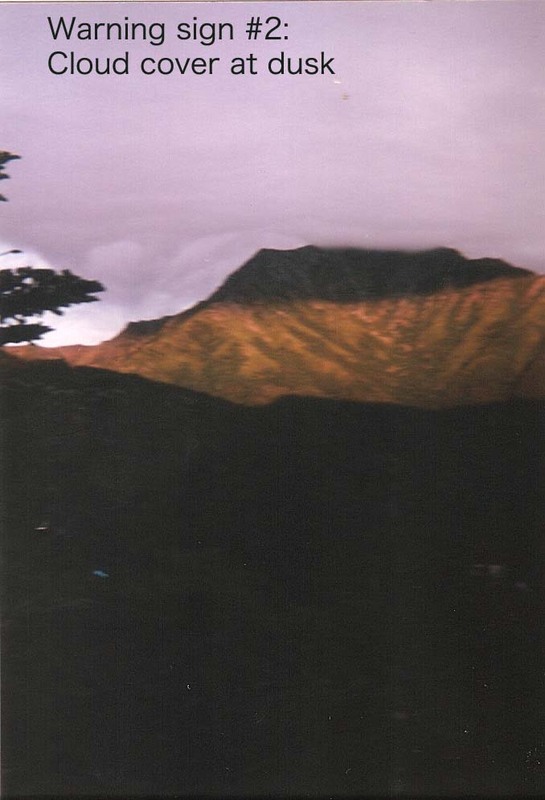 The clouds hung heavy on the surrounding peaks, as we stared at the barren ski slopes, wondering if we could make it up before dark. 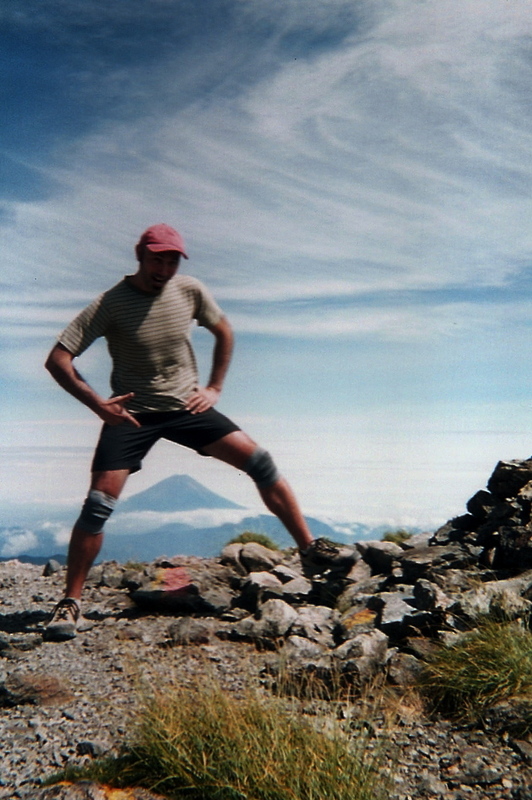 Our first plan was to hitchhike to Katta-touge, where we could scale Mt. Katta and spend the night. Our back-up plan was to abandon all hopes of getting a ride and head up the steep slopes, camping along the way. Thumbs outstretched on the main road through the resort, we silently prayed. Visibility couldn’t have been worse as we tried to figure out which direction to go. 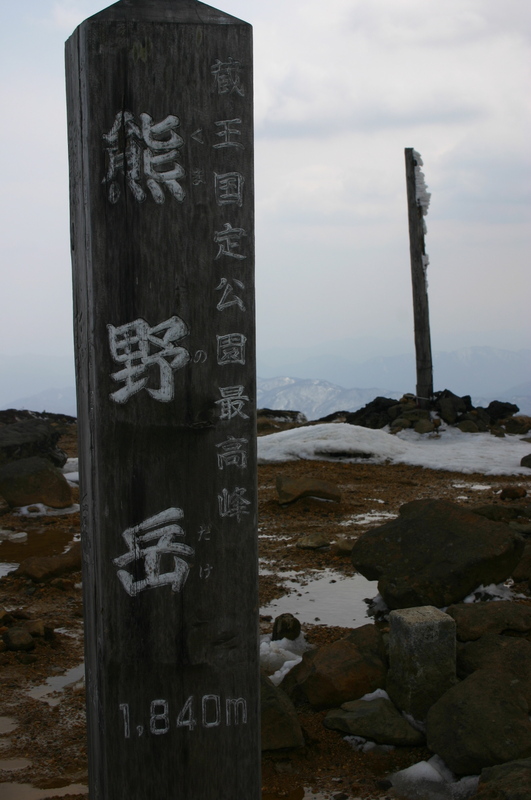 A signpost pointed towards Mt. Byobu, but we wanted to go in the opposite direction. 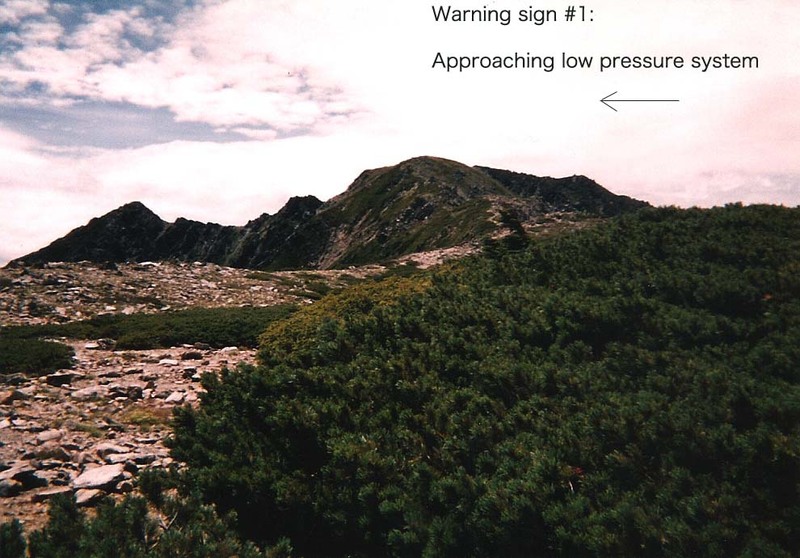 After walking through the toll gate of the Zao Highline, I spotted a 登山道 sign on my left which climbed straight up the spur to the summit of Mt. Katta. A short time later, in thick fog and chilling rain, we stood at a massive junction, completely unaware of our immediate environs. According to the map, there should be an emergency hut somewhere around here. We split up, feeling our way through the cloud until I stumbled upon what appeared to be an abandoned bomb shelter. Bingo! 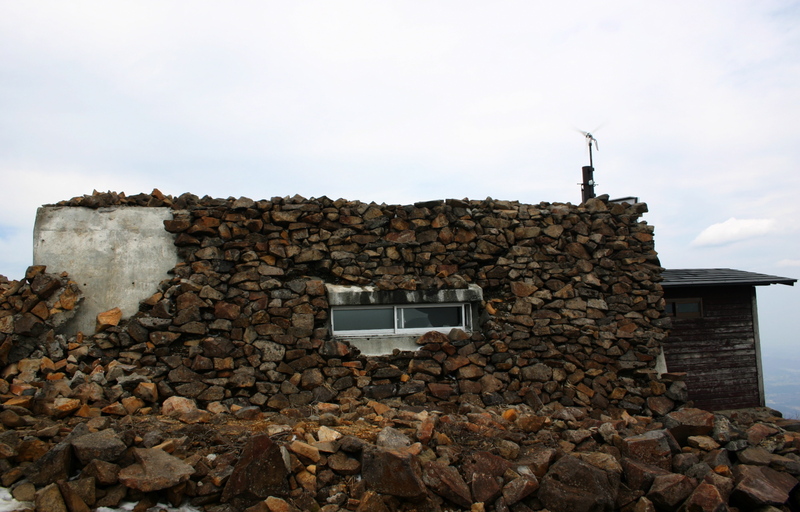 Despite the decrepit appearance, our modest accommodation was perfect for keeping out the elements. Plus, it was free of charge and completely deserted, an oasis in an area with absolutely no flat place to pitch a tent. Dinner was served in between periodic checks on the low pressure system outside. Sure, the rain had abated, but any chance of watching the setting sun was hindered by some of the thickest cloud I’d come across. The next morning would be no different. After setting the alarm for 4am, Yuuki and I did a quick game of janken (stone, paper, scissors) to see who’d be in charge of checking conditions. I’ve never been strong at that game, and this time was no exception as I somehow managed to descend the ladder from my second story sleeping area and hobble all the way across the room and through the vestibule without even leaving my sleeping bag. I slid open the door, stuck my head outside, and retreated quicker than a groundhog on a dreary afternoon. “Let’s give it another hour”, I demanded. Breakfast came and went, but our foe the cloud was stubborn. Finally, at 8am, we could bear it no longer and headed out into the mist to do some hiking. The main reason for our procrastination was Ookama crater lake, whose emerald green waters attract hoards of tourists from the nearby parking lot. Yuuki and I prayed that the cloud would lift enough for us to catch a glimpse of one of the most beautiful volcanic lakes in the world. Our pace was intentionally slow on the deserted path. The first tour buses wouldn’t arrive for another hour or so, but all we could see was a forest of white. We even tried to descent as close as we could to the lake shore, but to no avail. We simply accepted defeat and headed to the nearby high point of Mt. Kumano to try to appease the gods. 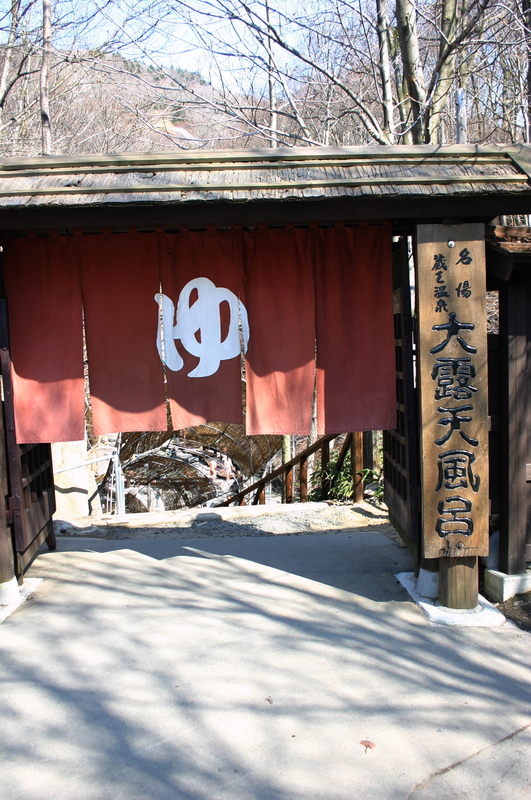 I placed my wallet on the steps of the stone shrine, while Yuuki placed a rice ball alongside. Clap, clap, bow, clap. Both of our silent prayers were the same: bring us some sunshine! Suddenly, as if by some unseen miracle, the clouds lifted! Directly in front of us lie one of the greatest panoramic views we’d seen on our trip. Yamagata city sat peacefully in the serene valley far below, with Mt. Asahi, Gassan, and Mt. Iide looking on with a watchful eye. Mt. 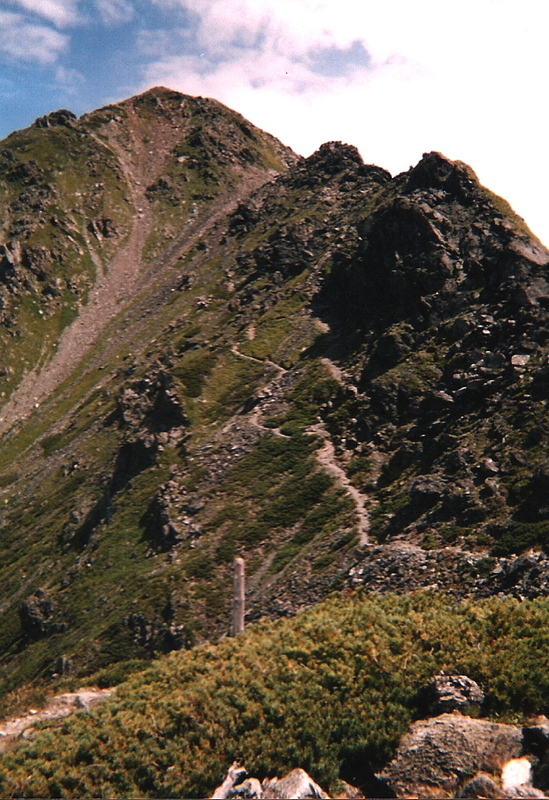 Chokai towered above them all a little further to the northwest. “Quick, quick grab the camera,” I shouted, but it was too late. Our unspoilt view lasted preciously 5 seconds, as the cloud came in with increased intensity. Over the next 30 minutes, the sun fought a fierce battle with the cloud, but on this beautiful mid-August morning, the planet would not prevail. I can’t describe the frustration of sitting in a bank of condensation while the world goes on under crisp blue skies just a few meters above, but I guess the only upside to the weather is that it gave me an excuse to come back to Zao under more favorable conditons. Yuuki and I accepted defeat, descending to the huge saddle at the base of Mt. 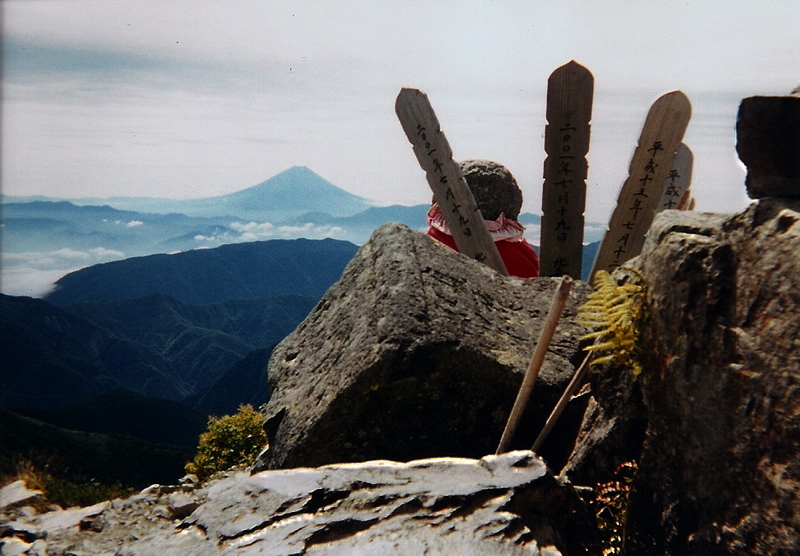 Jizo before turning left and entering a dense forest. The path wove in and out of the ski fields before dumping us onto a bare slope just above the start of the Zao Sky Cable gondola. Naturally, we flew down the slope in search of a bath! “You should definitely go to the Dai-rotenburo,” quipped the convenience store clerk, pointing in the exact direction from which we’d descended. If we’d only turned right when we left the trail! Yuuki and I started ascending again, through the ski fields we’d trotted through only moments before. The long, silent slog at the end of an even longer journey through most of Tohoku. We were both feeling the strain of Mt. Asahi, but that all disappeared when we caught sight of one of the most breathtaking baths I’d ever seen. A worthwhile investment of 450 yen. 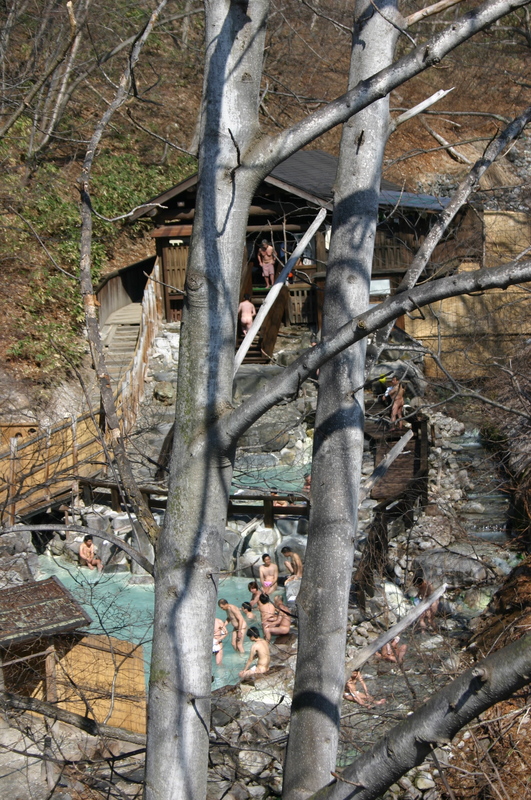 Clean and refreshed, the mountain men bade farewell to the highlands and retreated to Yamagata city. Yuuki boarded a train for Saitama while I checked into a minshuku to sort out my laundry and prepare for the journey to Sado Island the following morning for the Earth Celebration. 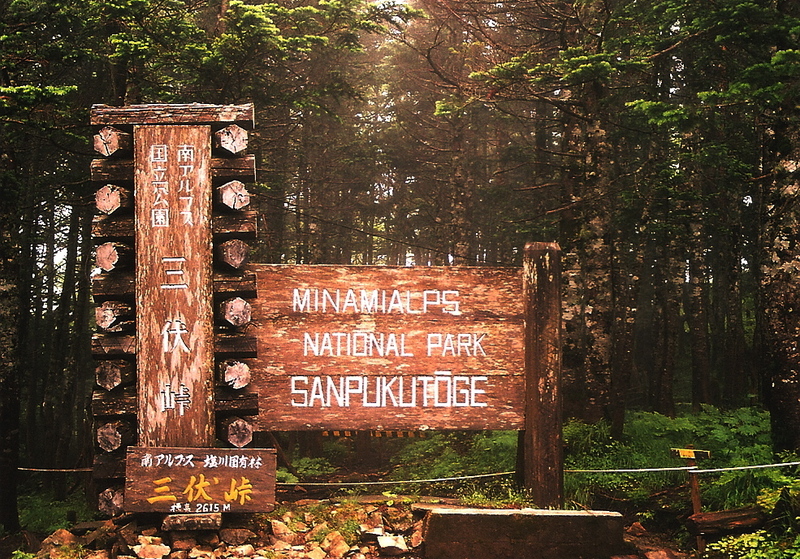 With the majority of Tohoku’s major peaks under my belt, I could now turn my attention to Hokkaido and the Kita Alps, where more unexpected adventures awaited. I can think of at least a few hundred things I’d rather be doing than breaking down a tent in the rain, but after waiting half the morning for a break in the weather, our patience wore thin. I must say that the job becomes a lot less messy with two people on the job: I simply stuffed the tent in my pack in the blink of an eye while leaving the ground sheet,rain fly, and poles exposed to the elements on the outside of my pack. John and I meandered through the pristine forest towards the tree line and our impending assault on Mt. Shiomi. We should’ve seen the warning signs from a mile away. It wasn’t until I got my pictures developed weeks after the trip that I noticed the approaching low pressure system. Once above the tree line, things took a sudden turn for the worse, as we hit the full blunt force of the whipping winds. Wet clothing and strong gales are a definite recipe for disaster. “I’m going to push ahead and find a hiding place out of the wind”, screamed John, who was losing body heat much faster than he could replenish it. You might remember the lack of winter clothing from the first two days of the traverse. He was paying for it dearly now, and I watched his tall, stately figure vanish quickly into the mist. I was shivering from the cold as well, and pushed on as quickly as I could, crouching close to the ground to avoid being blown into oblivion. I was walking as if in a trance, my camera secured deep within my pack. This was not a time to be snapping photos. 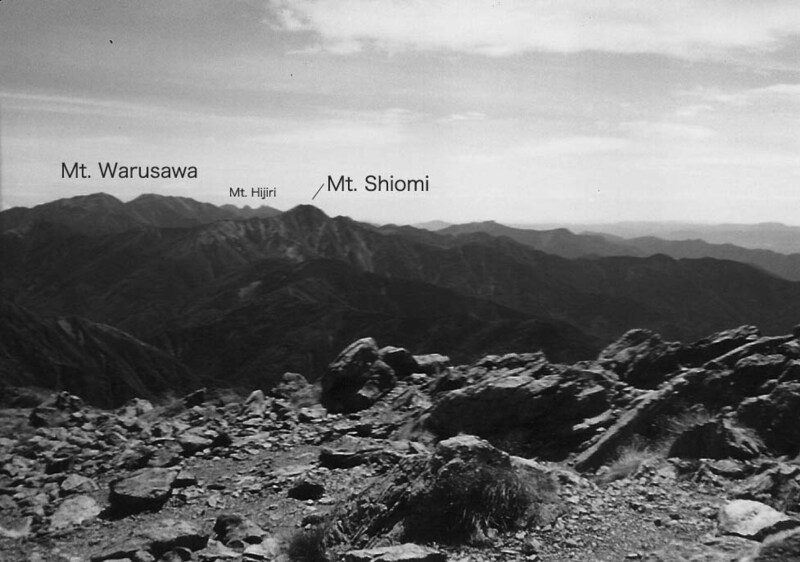 The official high point of Shiomi, the east peak, was reached after an hour of fighting for my life. There was no escape from the torrent and no reason for respite. Down to the saddle and over the west summit I flew, reaching an incredibly steep wall of rock similar to the buttress I’d seen on Kita-dake just one day prior. It was here that I found a trekking pole, snapped cleanly in two. It wasn’t supposed to happen this way. John was nowhere in sight, so I gave him the benefit of the doubt and continued gliding down to Shiomi hut. Our eyes met just outside of the entrance. My hiking partner looked much worse for the wear, as our request to come into the reception area to warm in front of the kerosene heater was rebuffed. This was getting ridiculous, and if my friend succumbed to the elements then we’d definitely have a lawsuit on our hands. We took the proactive approach, escaping into the lobby of the adjacent hut and grabbing anything we could find to raise John’s body temperature. He was shivering intensely, with 3 layers of blankets wrapped snugly around his body, when the hut staff barged in. “No, no! No blankets. Get out of here!”, gruffed the men, clearly enraged with our lack of etiquette. “Chotto, teitaion ..”, mumbled my fearless friend. The hut ruffians had been sitting in the comfort of the warm hut all morning, oblivious to the raging storm on the summit. “Please, we’ll pay you to use your heater. My friend is in serious danger”, I pleaded. The hut workers talked quietly amongst themselves before finally agreeing to let us stand in front of the heater for 1000 yen a piece. Now if they’d only been that cooperative from the beginning…. 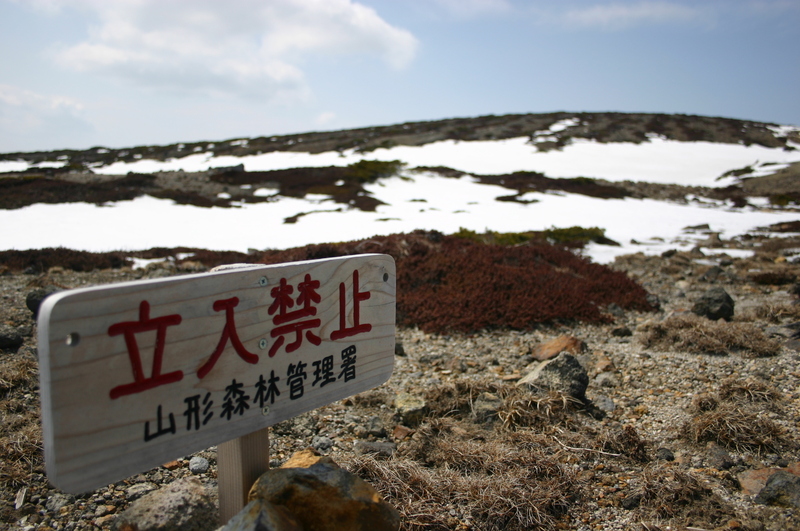 The color eventually came back to John’s skin as we beat a hasty retreat to Sanpuku-toge, the highest mountain pass in Japan. After our ordeal, we decided to indulge ourselves by checking into the hut. There’d be no more unnecessary danger on this trip! The hut staff couldn’t have been friendlier, a stark contrast to the loonies an hour to the north. We slept like babies and feasted like never before, while the foul weather continued unabated outside. 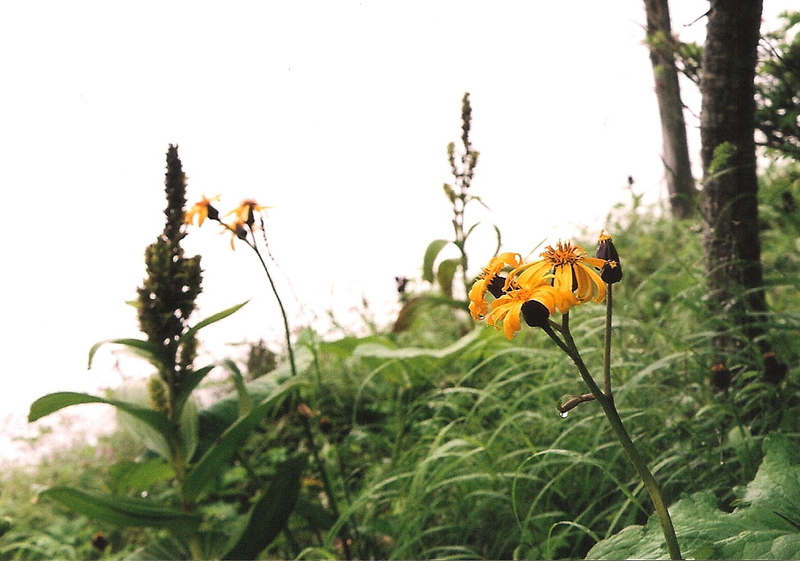 The next morning we descended to Shiokawa in a light drizzle and heavy cloud cover. At the bus stop, we met a group of university students preparing to depart on a multi-day trek. I really hope they were better prepared then the two of us. Never underestimate the power of nature. We went from the best trekking weather ever to the worst in less than 24 hours, and that snapped trekking pole did indeed belong to John! I drifted off to sleep immediately after crawling into my sleeping bag, and John’s consciousness soon gave out under the increased comfort of the wool blankets. We didn’t bother setting an alarm, as the ruckus of the neighboring tents would surely be enough to wake the dead. 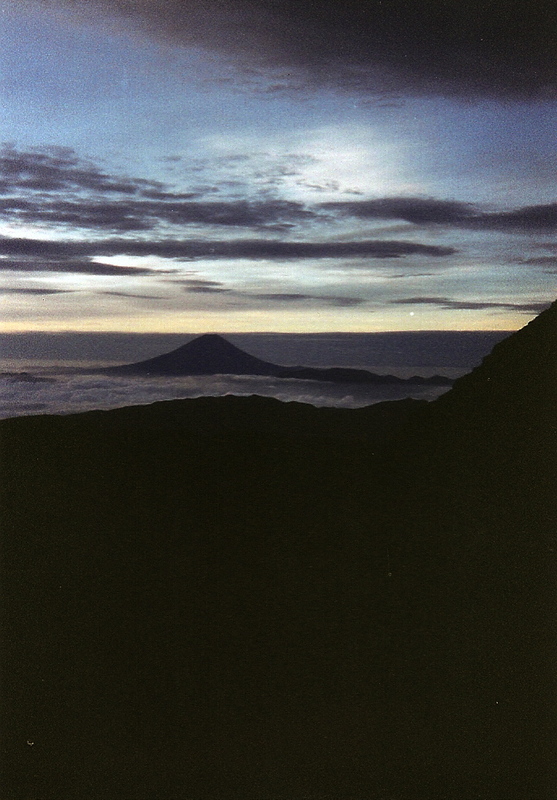 Dawn came much sooner than welcomed, but the warmth of the tent took precedence over scrambling up to the summit of Japan’s 2nd highest peak to watch the sunrise. We’d do just fine watching from the vestibule. A leisurely start to the day it was, as breakfast was cooked, gear stowed, and linens returned to their rightful owner. The walk from the hut to the summit took barely 20 minutes, where we found a completely deserted signpost. Another advantage to the “late” start (late meaning 7:30am, in our case). After crossing the peak, the path took a turn for the worse, through a steep gully with plenty of life-ending drops and precarious footholds. While the chains did help, adjusting to the awkward center of gravity created by an enormous pack took a bit getting used to. I have the utmost respect for those few brave souls who’ve attempted this tough wall of granite in the winter. 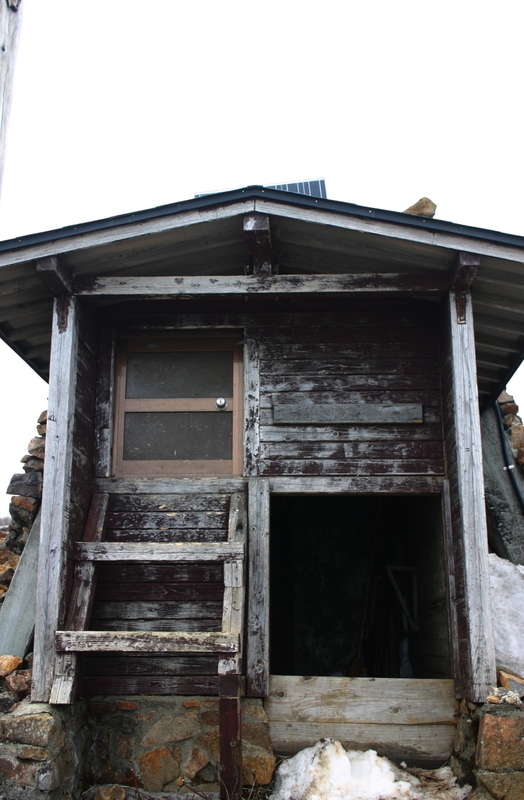 Once out of the death zone, the trail became a breeze, skirting past the front door of Kita-dake hut before rising gently to the flattened heights of Ai-no-dake. The weather continued to be absolutely stunning, the perfect companion for a leisurely day in the Alps. After lunch, it was time to do a bit more fooling around before descending to our chosen campsite for the night at Kuma-no-daira. John and I rolled into the wooded confines of our camp around 4pm, pitching in a secluded area away from the bigger university mountaineering clubs. Our requests for extra blankets, however, were vehemently denied by the stern staff at the hut. 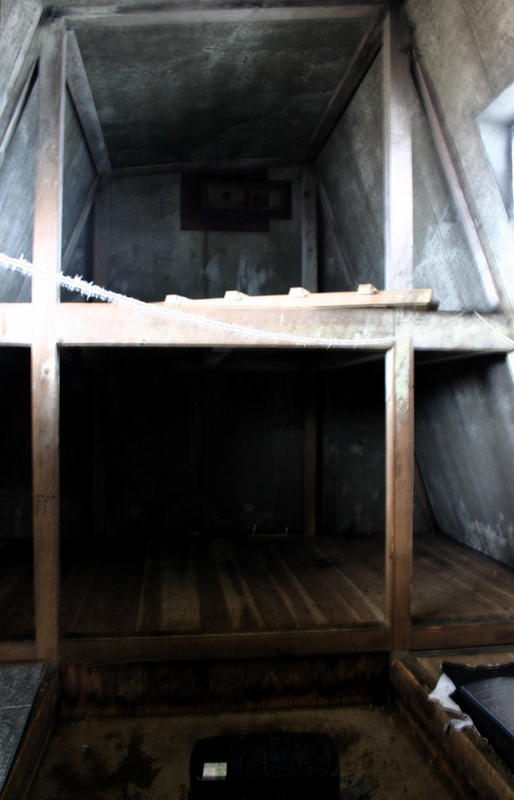 Pay 8000 yen to stay in the hut, and we could have all the extra bedding we wanted. Campers in Japan really need to take care. In most places you’re treated like a vagrant and not allowed to use any of the luxuries of the hut, but such is the life in a country where alpine huts are private property!